Samuel Hawley isn’t like the other fathers in Olympus, Massachusetts. A loner who spent years living on the run, he raised his beloved daughter, Loo, on the road, moving from motel to motel, always watching his back. 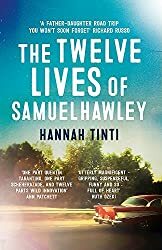 Now that Loo’s a teenager, Hawley wants only to give her a normal life. In his late wife’s hometown, he finds work as a fisherman, while Loo struggles to fit in at the local high school. Growing more and more curious about the mother she never knew, Loo begins to investigate. Soon, everywhere she turns, she encounters the mysteries of her parents’ lives before she was born. This hidden past is made all the more real by the twelve scars her father carries on his body. Each scar is from a bullet Hawley took over the course of his criminal career. Each is a memory: of another place on the map, another thrilling close call, another moment of love lost and found.